The second stage of the Business Diamond Framework™’s 3i Methodology™ is to create innovative strategies to help organizations lower costs, raise revenues, and differentiate. (If you’re totally new to the Business Diamond Framework™, click here for a quick synopsis). There are a number of tools practitioners can use to innovate but one of the easiest ways to generate innovation in this stage is to move departments and roles and processes from one Function Diamond to another. 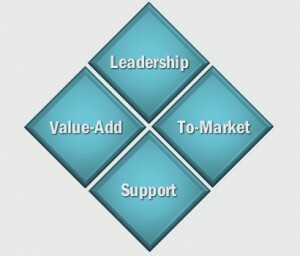 (For example, from the Support Diamond to the To-Market Diamond or from the Value-Add Diamond to Leadership Diamond). A popular example of this is the IT department. In many businesses, the IT department would be defined as a Support Diamond part of the organization. Because of that, the IT department is reactive and often merely tasked to patch together a computer system to let the company achieve a baseline of internal and external communication. Then, they are tasked to maintain that baseline. That’s a classic Support Diamond problem — the expectation that departments, processes, and roles in this Function Diamond will perform at a specific minimum. But a simple, conceptual shift from the Support Diamond means that IT is no longer reacting as a supporting department. 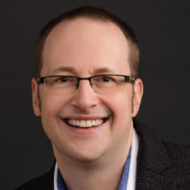 Shifting IT into the Value-Add Diamond puts the department to work as an essential part of the business that intentionally contributes to the business’ Value Chain. Or, shifting IT into the Leadership Diamond puts the department to work as a business enabler — a department that drives positive change and encourages forward momentum by becoming a decision maker in the business. We see this a little with the role of the CIO, but it’s just the beginning. When I did some writing for SAP, this was a big deal that we were addressing. And I recently found this book, which I thought was also relevent: 2017: The End of IT as We Know It. But IT is just one example, of course. There are other departments, processes, and roles that can be shifted from one Function Diamond to another to create innovative ways of doing business. Want to stir up your business for some fresh and innovative thinking? Identify a role and explore ways to shift them into another Function Diamond.